Sponsoring an OutThereColorado Getaway Guide is an effective to strategically align your brand with amazing content. 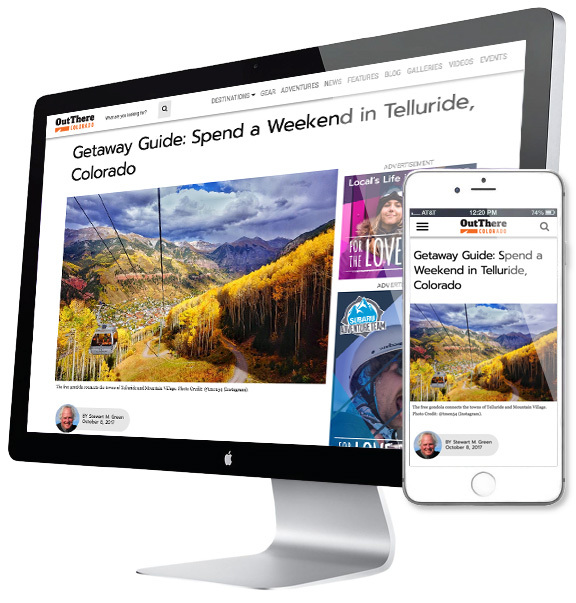 Brands can align their advertising with premium editorial content and high-profile series produced by the OutThereColorado content development team. OutThereColorado Getaway Guides are an effective way to strategically associate your brand or destination with our qualified and engaged audience. Featuring captivating copy, amazing photos, suggested itineraries, adventure lists and social sharing functionality, when our readers think of a destination, they’ll think of your brand first.